Kokatat Hydrus Kayak Mitts - The Kokatat Hydrus Kayak Mitts will keep your hands toasty warm with the hook-and-loop closure easily secures around the paddle shaft. 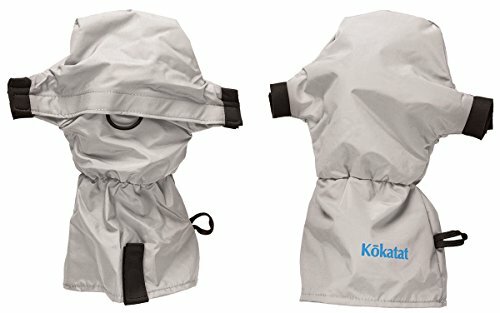 Kokatat's proprietary Tropos waterproof breathable fabric, with durable water repellent coating (DWR), keeps the splashing water off during your paddling adventure! Kokatat Guide Kayak Rescue Lifejacket - The Guide Kayak Rescue Lifejacket by Kokatat was designed with the professional kayaker guide in mind. 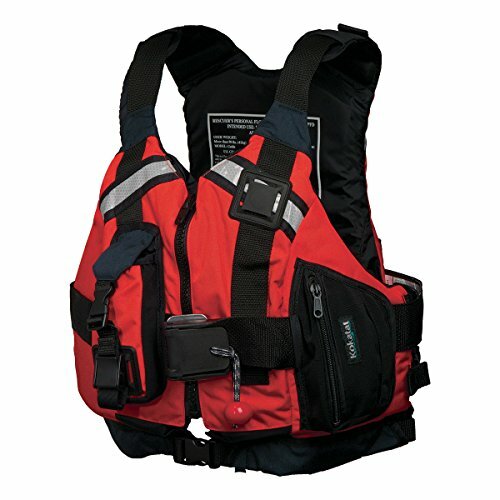 The Guide incorporates everything you could possibly need in a full featured Type V rescue PFD, including reinforced shoulders, strong swimmer harness and rescue belt. It is an excellent fit for all-day comfort and usable storage space. 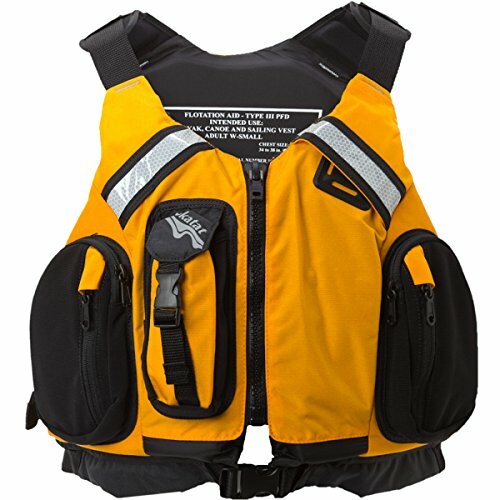 Made with GAIA PVC-free foam, this is a comfortable, secure PFD that is outfitted to work with and for you. If you are serious about kayaking then get serious about safety, make sure you have the Guide Kayak Rescue Lifejacket by Kokatat. Kokatat Neo Kayak Mitts - Neo Kayak Mitts by Kokatat will keep your hands warm on even the coldest days on the water. 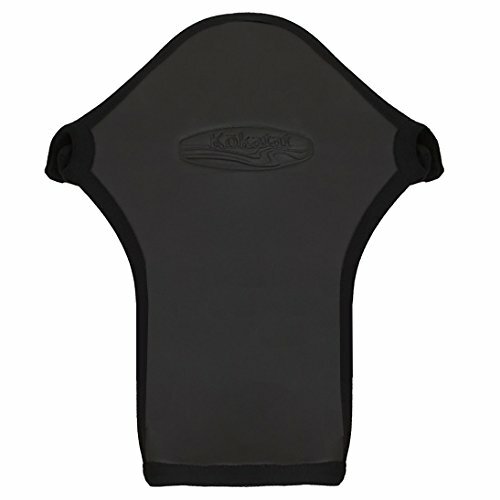 They use 3mm Smoothskin neoprene on the top of the hand, and 3mm nylon 2 side neoprene on the palm for added durability. They allow you to maintain direct contact and control, while keeping your hands toasty and warm. Other features include a comfortable wide opening gauntlet that provides a quick and easy entry, a one inch wide watersports grade hook & loop closure, and the long version has a roll up closure. Don't let the cold keep you from your favorite pursuits, grab the Kokatat Neo Kayak Mitts. 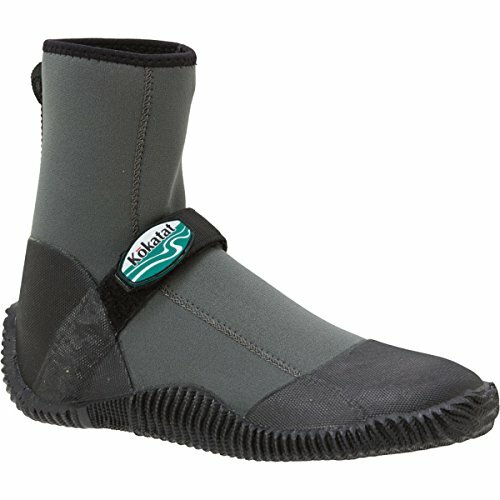 Kokatat Scout Neoprene Kayak Shoes - The Kokatat Scout neoprene water shoes are light-weight, zipperless paddler's shoes that slip on easily while offering great protection and support. The 3mm double-lined neoprene upper provides protection both in and out of your boat. The foot bed is built using a medium thickness vulcanized rubber outsole with a vulcanized rubber toe cap and heel counter for traction. The adjustable instep strap provides the lateral support necessary for extended hikes or portages. With the Kokatat Scout neoprene water shoes you'll be able to keep your focus on the river and not worry about your feet! Kokatat OutFIT Tour PFD - The Outfit Tour PFD by Kokatat is tougher than an Alaskan deep sea trawler and more comfortable than a Caribbean cruise ship. This lifejacket rocks all the fit adjustments and safety options you need for a long paddle in open water. Toss out your antiquated notions of stiff and bloated PFDs, because the OutFit Tour uses a flexible, articulated design. It is built with a tough cordura outer shell that wears and weathers hard use and the elements exceptionally well. It has large arm and neck openings offering ample range of motion without sacrificing vital flotation. Zip into the Kokatat OutFit Tour kayak lifejacket, fill your pockets with safety essentials, and point your boat towards uncharted waters. Kokatat Portage Neoprene Kayaking Shoes - Portage Neoprene Kayak Shoes by Kokatat are new for 2012. The Portage is the ultimate creeking bootie, with a durable traction outsole and fiberboard insert for comfort while scrambling on shore. The exclusive covered lacing system allows for precise volume adjustment and fit, while ensuring no snag hazards inside the boat. Kokatat SeaO2 Kayak Lifejacket - The SeaO2 Vest is the first UL-approved hybrid inflatable PFD designed for kayaking. Easy to paddle and swim in, this lightweight design inflates from 7.5 to 22.5 pounds of flotation in three seconds via a CO2 cylinder. It can be inflated, deflated and rearmed without removing the vest. An oral inflation tube allows you to adjust the amount of flotation on the fly, or to manually inflate the jacket if you are out of CO2. The side zipper makes for easy entry and exit, and 6 points of adjustment allow you to perfectly customize the fit. The mesh back design accommodates the taller seats found in many of today's touring and recreational kayaks, and in conjunction with the mesh sides provides excellent ventilation. The roomy mesh front pocket provides plenty of room for key essentials, as well as a smaller radio pocket. Front and back reflective tape aids visibility in low-light conditions, and lash tabs keep knives and beacons securely in place. Kokatat Women's MsFit Tour Kayak Lifejacket - The Women's MsFit Tour Kayak Lifejacket by Kokatat features eight points of adjustment that provide maximum freedom of movement, while fitting you comfortably and securely. 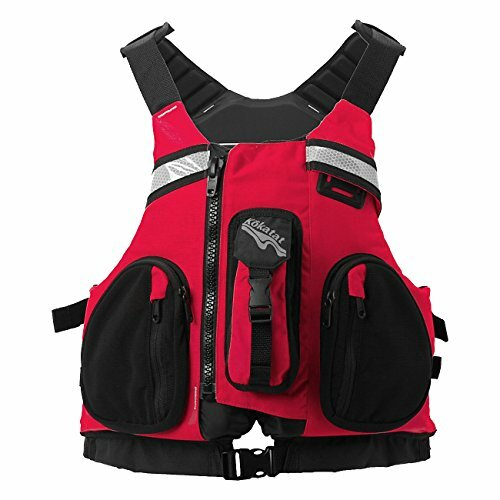 Ergonomic and innovative components such as thermo-formed, padded Hypalon shoulders, 3 side adjustments, GAIA PVC-free foam, and superlative construction methods set the standard in modern PFD design. With front and rear reflective tape, a knife garage, a strobe lash tab and multiple top-loading pockets, the MsFit gives the gadget-happy paddler plenty of room for gear. When it is time to get out on the water and enjoy yourself, don't forget the Women's MsFit Tour Kayak Lifejacket by Kokatat. Kokatat Seeker Neoprene Kayak Shoes - The Seeker Neoprene Kayak Shoes from Kokatat are an ultra-lightweight, highly flexible, low profile paddler's shoe that is designed for use in whitewater playboats and low volume touring kayaks. 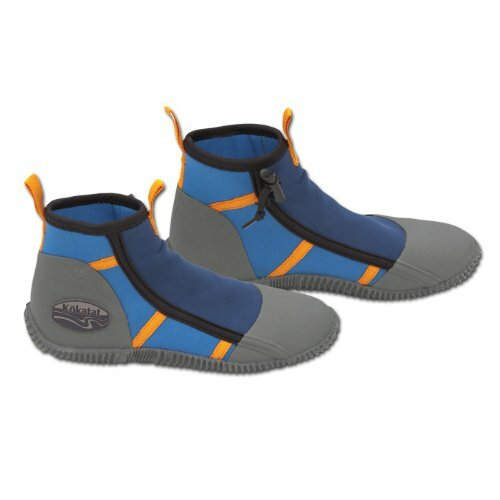 Made from 3mm double lined neoprene with ultra-thin vulcanized rubber sole, toe cap and heel counter, the seeker provides comfort, durability and enough protection for put-ins and portages. The singlehand adjustable shock cord lacing system allows for precise volume adjustment and fit. A 0.5mm superstretch neoprene lace cover eliminates the snag hazard associated with other lacing systems. 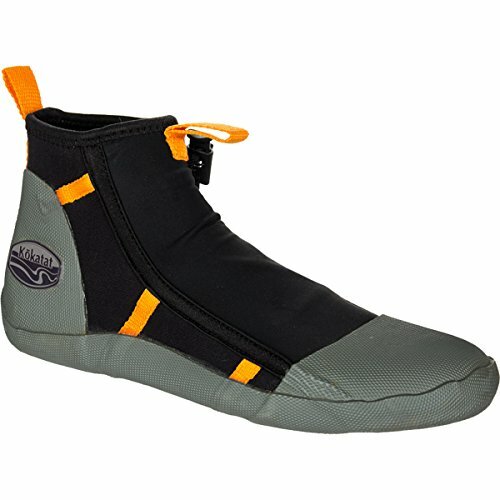 If you need a low profile shoe for your tight fitting kayak then you'll want the Seeker Neoprene Kayak Shoes from Kokatat. Kokatat Men's NeoZip Long Farmer John Neoprene Kayak Wetsuit - The burly Kokatat NeoZip Farmer John is a dream come true for paddlers who prefer a wetsuit! The paddling-specific design keeps you comfortable without sacrificing durability. It's easy to peel on and off and you can add splash gear over the top for additional wind protection. Looking for more Kokatat Kayak similar ideas? Try to explore these searches: Valu Line Cash Tray, Jack Brass Switchplate, and Duct Boost Fan. Shopwion.com is the smartest way for comparison shopping: compare prices from most trusted leading online stores for best Kokatat Kayak, Roberto Clemente Baseball Jersey, 2 Trading Cards Hobby Box, Kokatat Kayak . Don't miss this Kokatat Kayak today, April 20, 2019 deals, updated daily.